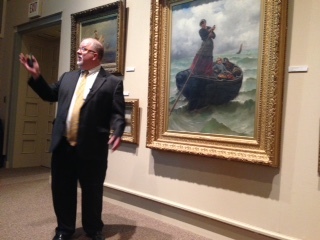 Prendergast board president Tom Rankin walks the audience through a presentation focusing on the library’s budget deficit and selling the artwork during the board’s September 2015 meeting. JAMESTOWN – The James Prendergast Library will hold a public input session involving the future of its Art Collection Thursday night at the library. The library board of trustees made the decision to hold the input session last month after a number of residents attended the September board meeting to speak out against selling the art collection. According to Prendergast Board President Tom Rankin, the September numbers show the library is facing $65,000 operating deficit for this year and a $180,000 deficit for next year. To make matters worse for the library, the mayor’s executive budget on Wednesday is slashing aid for the Prendergast by $15,000, meaning the library’s spending gap may be even larger than initially projected. Library officials believe that by selling some of the art collection – which has a total value of approximately $3.17 million – they can add more money to the library endowment, which would then help to provide additional revenue on an annual basis. The library also believes that if they were to stay committed to keeping all the artwork, they would see an addition cost for both restoration and security. Two pieces of artwork in the Prendergast collection that could be auctioned in the coming months: Left: “Industry” by French artist Eugene Romain Thirion – painted in 1874. 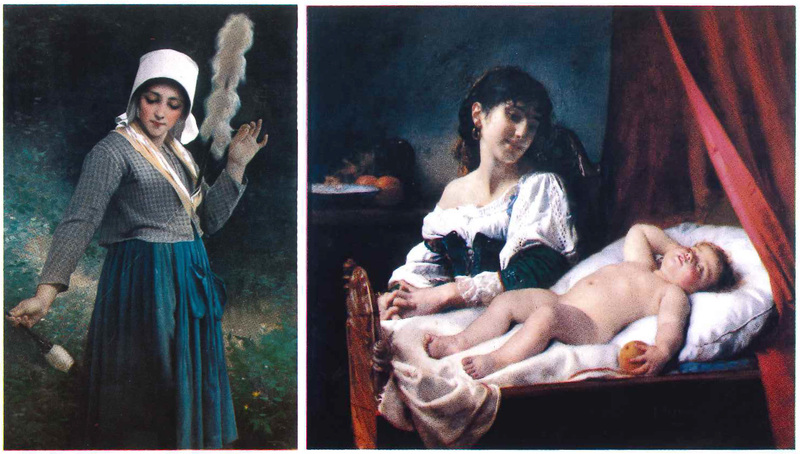 Right: “Sleep, Baby, Sleep” by French artist Leon Bazile Perrault, painted in 1884. Both are from a collection of 32 paintings given to the library at the bequest of the Prendergast family. The board has already signed into a contract with Sotheby’s to auction the artwork, should they decide to deaccession any of the pieces. The library has also requested that County Surrogate Court Judge Stephen Cass grant the library permission to sell the artwork if it chooses. That is required because the artwork was given to the library and intended to be a permanent asset. Tonight’s input meeting will be held at 6 p.m. in the library’s fireplace room and will be facilitated by Prendergast board members Bruce Gleason and Joni Blackman. They are asking anyone with alternative solutions to selling the art collection to attend the meeting and bring their ideas forward. The next meeting for the board of trustees is Thursday, Oct. 15, Oct. 22, which would be the earliest that the board could met to again discuss and possible deaccession pieces of its art collection.